CTV > News > Services > Acquired, Life Science > OrthoScan, Inc.
OrthoScan, Inc. manufactures the OrthoScan High Definition Mini C-Arm for extremity imaging. Designed for orthopedic surgeons, the small, lightweight C-arm configuration fluoroscopic system provides real-time images with four times the resolution of other currently available fluoroscans. It can be used during surgical orthopedic procedures, and critical and emergency care procedures. 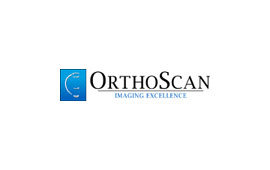 Orthoscan was acquired by ATON GmbH.